Disclaimer: This post is sponsored by Mirum. Opinions are 100% my own. I have sensitive skin and I’m always in search for best exfoliator for my face so I was excited to do this review. Have you ever walked past a mirror and backed up like a truck delivering a parcel? I was walking the other day, and I saw a mirror. I walked past and then back tracked. I am pretty sure I scared myself. 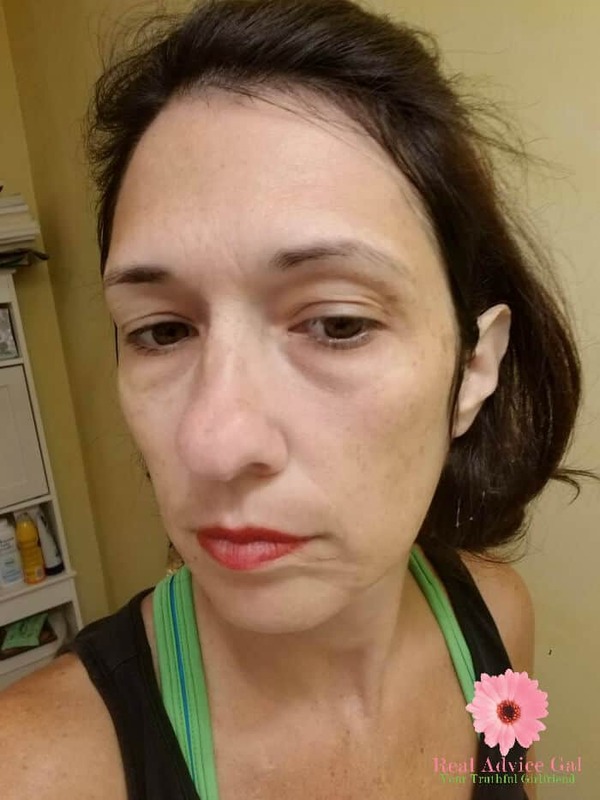 I noticed my skin looked awful. I am not sure if it is the summer or my advancing years, but I knew I needed to do something. 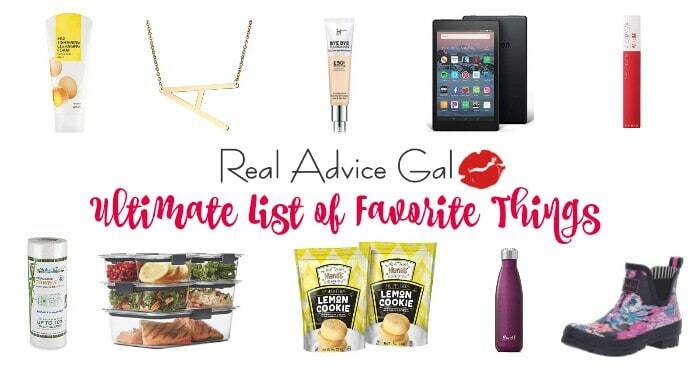 I headed to Target to look for the best exfoliator for a face that is gentle. I have sensitive skin, and I wanted something that would energize me and get rid of all the dead skin. I wanted skin that was soft and glowed. I found that product and guess what it was inexpensive! It smells like a tropical island and coffee. I can see why the voters chose the Scrub and Save which is available only at Target. 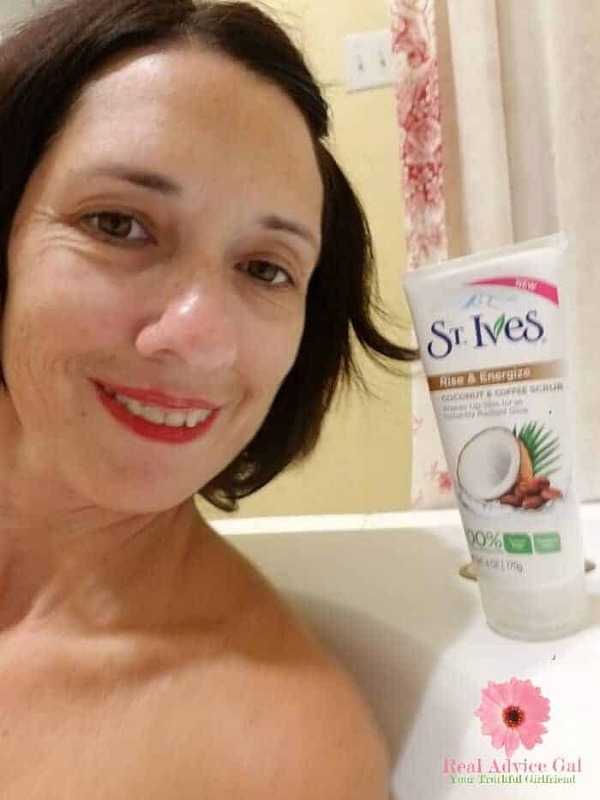 St. Ives Rise & Energize Coconut & Coffee Scrub exceeded my high expectations. I encourage you to grab yours while it is on sale and before it sells out or they stop carrying it on September 31st, 2017. When I got home, I was so excited to try the scrub. I grabbed my bikini and got in my bath since I knew my little people would soon follow. I knew my daughter would want to try it out and that was okay since it’s made with 100% natural exfoliants (like walnut shell powder) and coconut fruit extract, known to help repair the skin and leave it feeling super soft and smooth. This is a 3?4 times a week kind of a scrub, for refreshed, glowing skin. It is Dermatologist tested. Paraben free. Non-Comedogenic. We paid special attention to our noses since mine is always peeling and our hair line. It is easy to use. You just squeeze a dime sized amount of scrub onto your fingertips and massage onto damp skin. Spread in small circular motions, applying gentle pressure to wake your skin’s natural circulation. Work all over, right up to your hairline and onto the sides of your nose. When you’re done, rinse and pat dry with a clean towel. You can see how my skin went from drab to dynamite. I will also admit that I used it on my feet and it was incredible. I love this product! I may have bought five. I figure they are great gifts and who doesn’t want to look good when they pass a mirror? This is the best exfoliator for the face that is gentle that I have found. 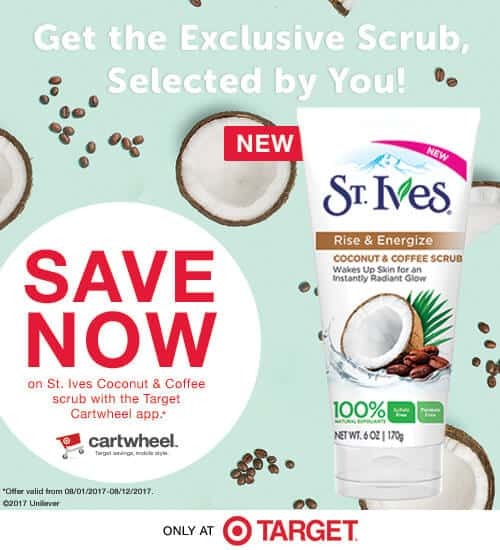 Starting now you can get Save 5% on St. Ives facial scrubs using the Target Cartwheel app offer. Stock up on the new St. Ives scent because it will only be in stores until September 31st.